Click here to Buy Sunrider Vitataste Helps Stop Sugar Cravings. Is effective and you get immediate results. Unique, nothing like it in the marketplace. When you cannot taste sugar, the craving for sugar-filled foods and beverages decreases. Helps you cut out many empty calories from your diet. Does not contain sugar, chemical additives or preservatives. Helps with cravings, so you are not so addicted to candies, cakes, sodas, chocolates, cookies you shouldn't be eating! This is great for the person who is addicted to candy or chocolate or sweet desserts, which is so common. You get some candy or chocolate or cookie or cake. Eat some of your favorite "delicious" candy or chocolate or cookie or cake. Break open a Vitataste capsule. 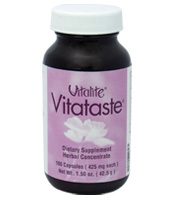 Sprinkle the contents of the Vitataste capsule on a spoon. Put the Vitataste into your mouth - keep it on the tongue, in the mouth, don't swallow it. Time yourself - 45 seconds later you can swallow it. After the time is up, swallow the Vitataste. Follow this up with water, or Fortune Delight or Calli to wash the taste out of your mouth. Eat more candy or chocolate or cookie or cake. Sugar and Chocolate taste disgusting after Vitataste! It is fun doing this in a group of people -- everyone experiences disgust as they again eat what they are addicted to. If it is candies, chocolate, cookies, cake, you will usually want to spit it out as it tastes so terrible. So have a napkin, paper towel or garbage can handy to spit the disgusting tasting chocolate in. Often it will taste like eating lard or grease. You can taste the fat, which is gross, and nothing else. Sugar tastes like eating sand. No sweetness to it at all. It is not pleasurable to eat sugary, fatty, salty foods any longer. So then the brain has a negative experience with the very thing you are addicted to or feel you can't live without. You remember how awful it tasted, and you are not craving it, like before. It really does help with the craving. How do we eat Vitataste? Well, just swallowing two capsules once, twice or three times a day can boost the body's ability to slow down or not have the cravings. Try it and see. Especially if you have a problem or someone you know has a problem craving foods or products that are fattening and hard on the body, and you really want some help with quitting or cutting back. Broccoli and Celery taste great! After you have eaten the Vitataste, you eat broccoli or celery and it still tastes good. It is great for people who also want to lose fat and lose cravings for fatty foods, as sugar is most often combined with fat of some nature. It even helps with salt cravings. Salt in fact tastes way, way too salty. Sunrider Viitataste helps with the Cravings, so people are not so addicted to things they shouldn't be eating. * These statements have not been evaluated by the Food and Drug Administration. This Sunrider product is not intended to diagnose, treat, cure or prevent any disease. Sunrider Vitataste helps with Sugar Cravings - Diana Walker filmed this video in 2010, in Atlanta, Georgia, USA, at an Internet Marketing Conference with Linda and Gwen - and they have sweet cravings. They find that this combination of herbs will help with sweet cravings - and that the sugary cake does not taste good. Chocolate cravings - like M & M's can be addictive. Diana Walker and her sister Goldie Denise demonstrate how terrible chocolate and sugar can be after, and how cravings can be decreased, using these herbs. Video made in 2009. 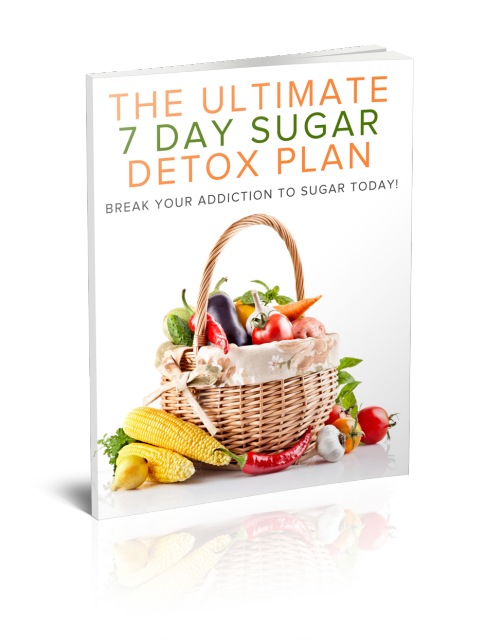 Diana Walker is happy to help you to stop sugar cravings.